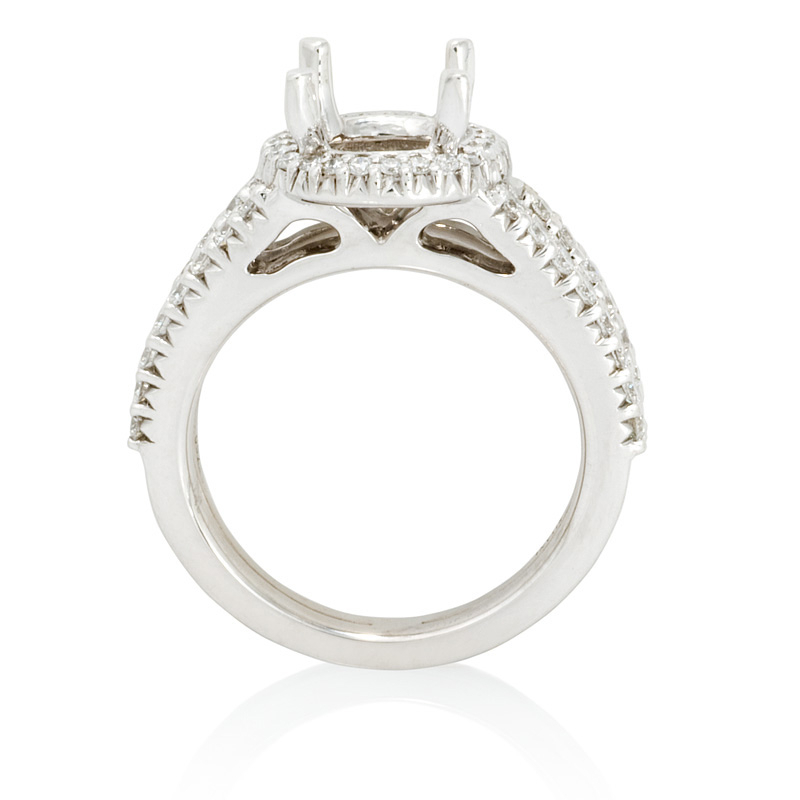 Setting Details: 18k white gold with halo design and accommodates a 1.50 to 2.00 carat round cut center stone. Measurements: Size 5.75 (sizable) and 10.5mm at widest point. Some sizes may be special ordered and take approx 4-6 weeks to deliver. 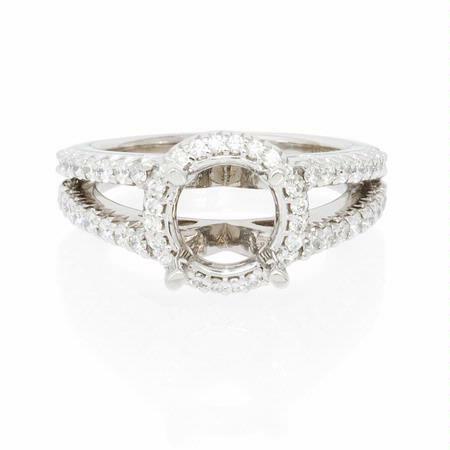 This beautiful Ritani 18k white gold halo engagement ring setting from the Bella Vita collection, features round brilliant cut white diamonds of G-H color, VS clarity, and excellent cut and brilliance, weighing .55 carat total. 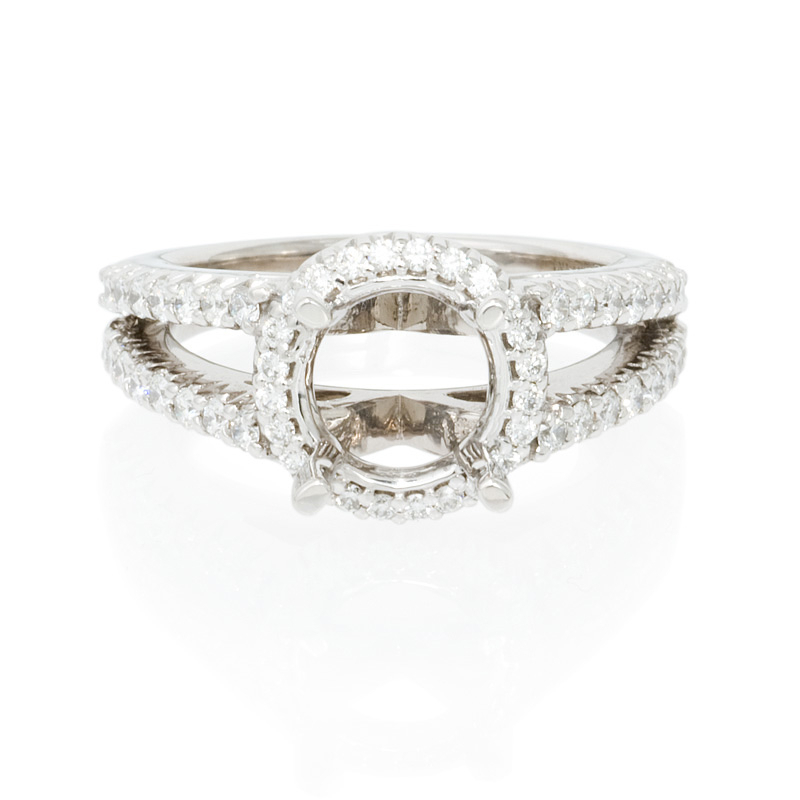 This ring is a size 5.75, is 10.5mm at its widest point, and accommodates a 1.50 to 2.00 carat round cut center stone. 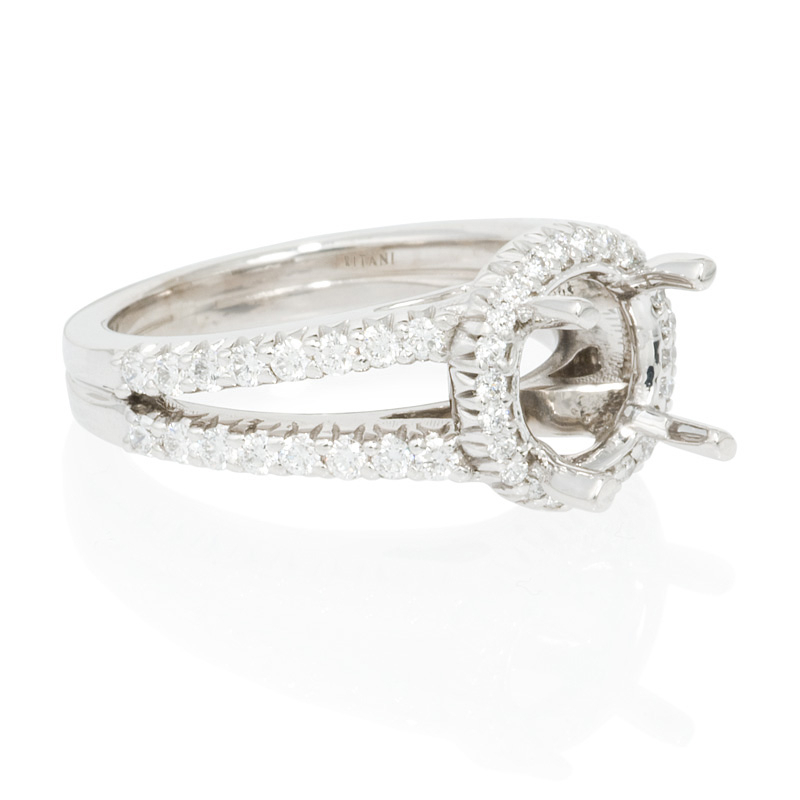 This ring is also available in various sizes and shapes of center stones. The center diamond is sold separately. View our inventory of G.I.A. and E.G.L. loose certified diamonds.